Posts Is Strapping The Boy Down Really The Answer? Apparently So. I already do enjoy his antics. Him and I would have so much fun. Glad you enjoyed my post. Look forward to your email, though if you’re anything like me right now replying to this blog post is taxing. I did just past 80% and cut two chapters today. Fun, fun. 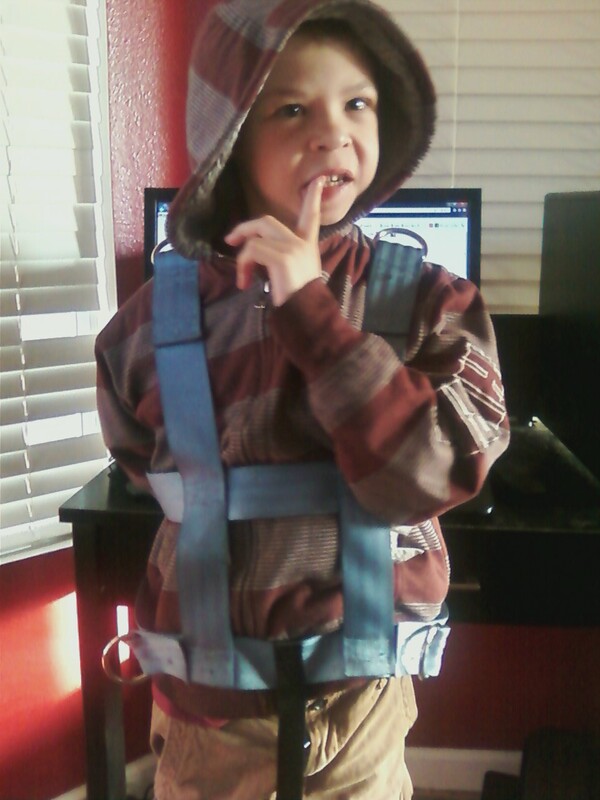 Mercedes, we have that EXACT same harness for Connor (age 6 1/2, dual dx WS and ASD). He was becoming a major safety hazzard in our car and was unbuckling his car seats straps and also the regular seat belts, and I very vividly remember 6 days after having our 3rd (and last child) calling the company and ordering one for him. And oh he hated it in the beginning too but now he doesn’t mind it one bit. And it’s MUCH less distracting to the driver now that he can’t get out of his seat. Of course, he has figured out how to unbuckle his sister’s seatbelt. Ahh yes, the fun never ends. Once again, you amaze me, Mercedes. You are a beautiful mother to Niko and the girls. Camille, so it sounds like you use it in your home vehicle too? I felt like such a MONSTER at first! 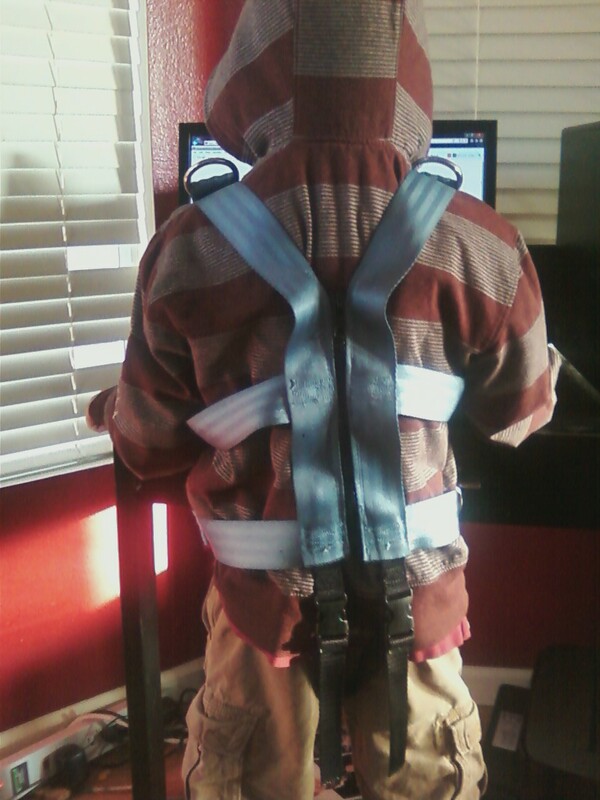 Strapping him down while he was screaming…ugh. But you’re right in that it’s distracting to the driver, and just unsafe when there’s a child flinging himself too and fro. Niko isn’t officially ASD, but he has autistic behaviors. I’m curious about Connor’s speech. Verbally, does he fall on the talkative WS side or does he have more difficulty with speech on the ASD side? Niko definitely struggles with speech, but he’s doing so much better! Anon, what a wonderful, wonderful thing to say. Thank you. This is wonderful! What a precious boy and your family is an inspiration. Harley, I just want to stalk you. *staaaaaaaalk* We need to get our girls together again!